​> In this section, you will find information and links regarding the Praed Foundation Collaborative Training Website for CANS certification. 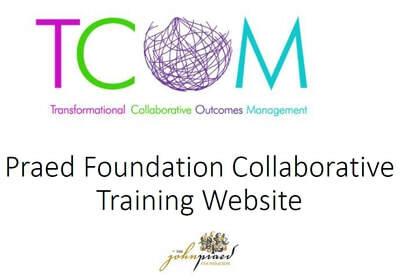 See below for updates, tips on how to navigate the CANS training website, and a login option. ​"Focus on the general Framework instead of the manual definitions" See CANS Tips for more. ​ Whether seeking certification for the first time or re-certification, find out how to take the CANS Certification Exam here. "Repeatedly taking certification exams (without the practice test) can lead to struggle! The timed environment and frustration and stress can keep you from building communimetric skills." See TCOM Tools - Obtaining Certification for more. 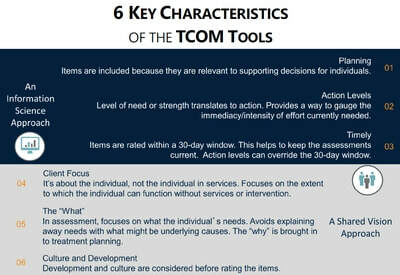 When taking the certification test, it's helpful to keep in mind the 6 Key Characteristics of TCOM Tools. 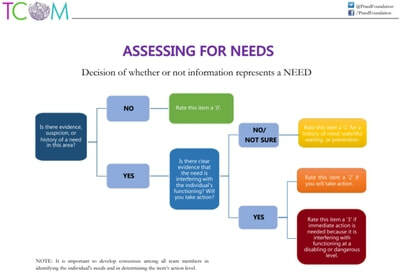 The file can provide a high-level understanding of the tools that can help form an understanding of the assessments. Tips on navigating the CANS training website.